He has been missing since yesterday. 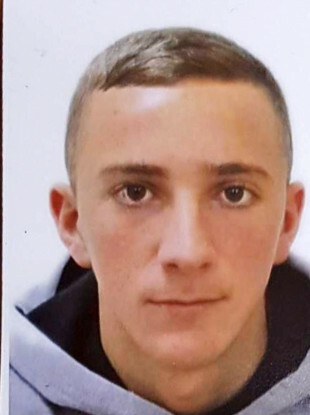 GARDAÍ HAVE APPEALED to the public for information in tracing a teenager missing from Wicklow since yesterday. Adem Shehu (17) was last seen in Roundwood, Wicklow yesterday. Adem is described as approximately 5ft 10in in height with short brown hair and brown eyes. When last seen he was wearing grey / black jeans, black and white Adidas runners and black bomber jacket. Anyone with information is asked to contact Wicklow Garda Station 0404-60140 or the Garda Confidential Line 1800 666 111. Email “Have you seen Adem? He's missing from Roundwood in Wicklow”. Feedback on “Have you seen Adem? He's missing from Roundwood in Wicklow”.